The Infinix Note 2 is now here. 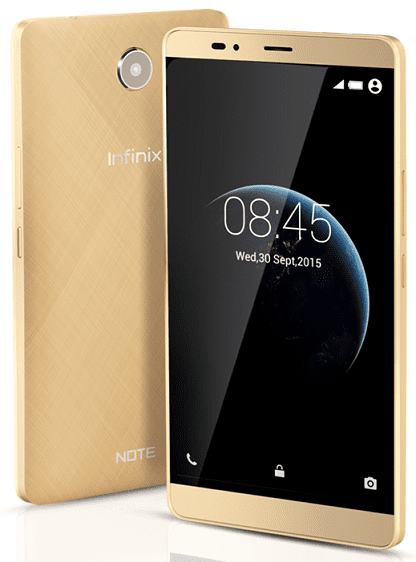 Infinix Mobility released the sequel to the popular Infinix Hot Note late 2015. The smartphone, which had earlier been christened Infinix Big 6 (because of its 6-inch Display) is available under the name: Infinix Note 2 – the ‘Hot’ appears to have been retired for this one. Checkout the latest members of the Note Series from Infinix like the Infinix Note 5, Infinix Note 5 Pro, Infinix Note 5 Stylus, and the Infinix Note 4. Infinix Note 2 offers a larger display, more powerful camera, newer software and long-lasting battery life. If the 5.5-inch display on the Hot Note does not provide enough screen estate for your needs, you are likely to find the new Infinix Note 2, a chic and eye-catching device, captivating with its massive screen measuring 6 inches diagonally. The display is bright and offers a resolution of 720 x 1280 pixels. Infinix Note 2 packs a more powerful 13-megapixel rear camera – an upgrade on the Hot Note’s 8 megapixels – for superior, more colourful pictures. It is not yet clear if the selfie snapper has received a boost as well. One of the Infinix Hot Note’s claims to fame was its amazing battery life; the Infinix Note 2 looks ready to continue along the same line. The new smartphone also uses a 4000mAh battery – probably based on Lithium-Polymer technology as well – with a promise of two-day battery life. The large juicer supports fast charging technology to enable you get up to eight hours of use in just 15 minutes of charging. Infinix Note 2 will run on newer Android 5.1 Lollipop operating system, compared to the Android 4.4 KitKat software used on its predecessor. Full hardware details of the phone have yet to be made available at this time. Infinix Note 2 will run on octa-core processor, 1GB RAM or 2GB RAM with 16GB onboard storage that came with the Infinix Hot Note. Infinix Note 2 is now available at leading online stores in Nigeria. 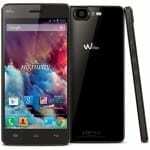 You can buy the smartphone at leading online stores in the country. Infinix Note 2 Price in Nigeria ranges from 40,000 to 55,000 Naira, depending on your location in the country.